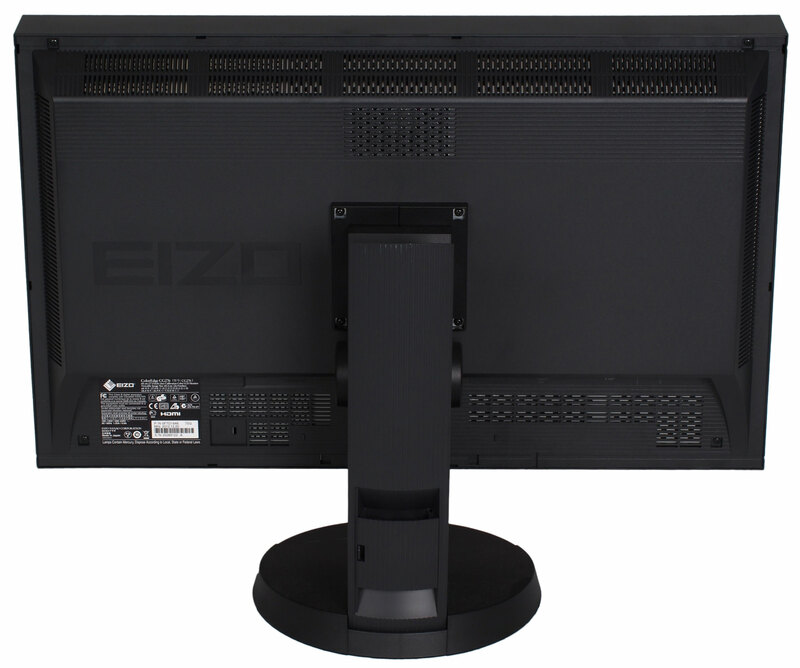 We put the top of the range EIZO ColorEdge CG276 27" Monitor to the test to see how it performs. 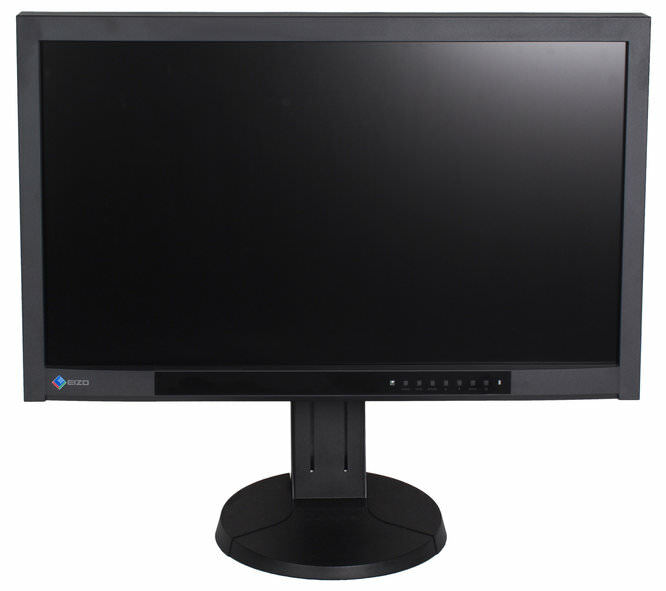 The EIZO ColorEdge CG276 is the top of the range 27" TFT monitor from EIZO, and features a built in colour calibration device that pops up when needed. An update of the CG275W it has improved brightness 300cd/m2 vs 270cd/m2, an improved contrast ratio of 1000:1 vs 850:1, adds HDMI input, and has a response of 6ms grey-to-grey, as well as covering 97% of the AdobeRGB colour space. The monitor supports both landscape and portrait orientation and with the height adjustable stand, it can accommodate both quite easily. The monitor features brightness stabilisation and digital uniformity equalizer which should mean the colour and brightness is consistent across the whole screen. 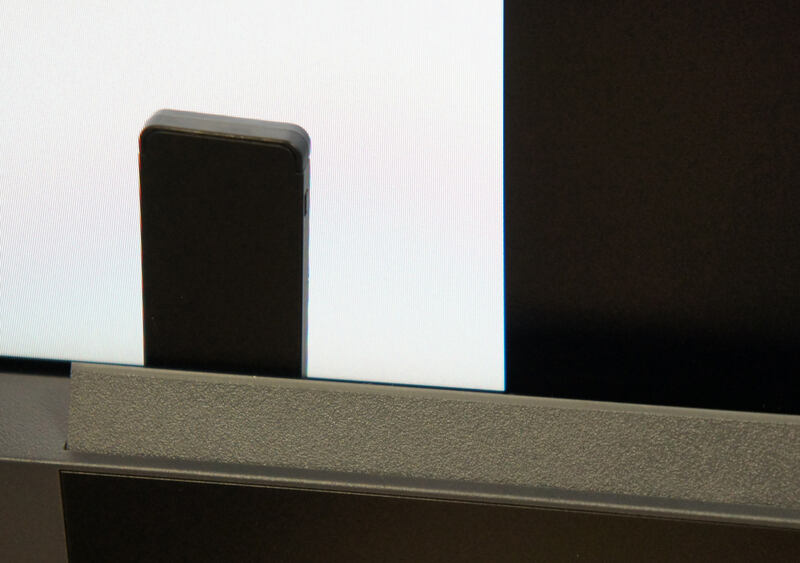 Built-In SelfCalibration Sensor - It's possible to automate calibration with the built-in SelfCalibration sensor that is housed within the monitor's bottom bezel and swings up onto the screen when calibrating. This sensor eliminates the need for a third-party calibration device and will also operate in portrait mode. EIZO-Developed ASIC at the Core - All ColorEdge models come with an ASIC (application specific integrated circuit) developed by EIZO. The ASIC has its own algorithms used in high-precision colour processing to produce smooth colour tones. Individually Adjusted at the Factory - The gamma level for each ColorEdge monitor is adjusted at the factory. This is accomplished by measuring the R, G, and B gamma values from 0 – 255, then using the monitor’s 16-bit look-up table (LUT) to select the 256 most appropriate tones to achieve the desired value. Multiple Inputs - DisplayPort, HDMI, and DVI-D inputs are included for connecting to various types of graphics boards. The HDMI input also offers direct connection with digital cameras. Two USB upstream ports allow two computers to be connected at once so it’s not necessary to reconnect the USB cable when using the ColorNavigator software and switching between the two computers. Input Support for 4K x 2K - The monitor accepts 4K x 2K resolutions of 4096 x 2160 and 3840 x 2160 at up to 30 frames/second via the DisplayPort input then downscales them to its native resolution of 2560 x 1440. 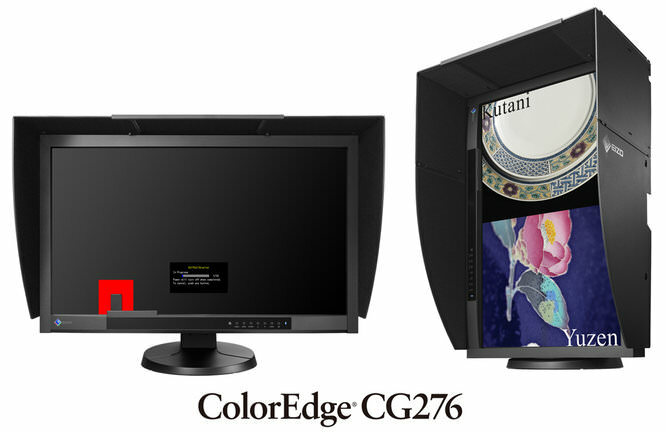 This added functionality makes the ColorEdge CG276 a practical choice for editing when working with the increasingly popular 4K x 2K resolutions used in digital television and digital cinematography. 1080/24p Playback - Film is usually shot at 24 frames/second and looks unnatural when played back on a typical monitor that displays 60 frames/second. The HDMI input supports a video signal display rate of 1080/24p frames-per-second so you can edit the film as it was meant to be viewed. 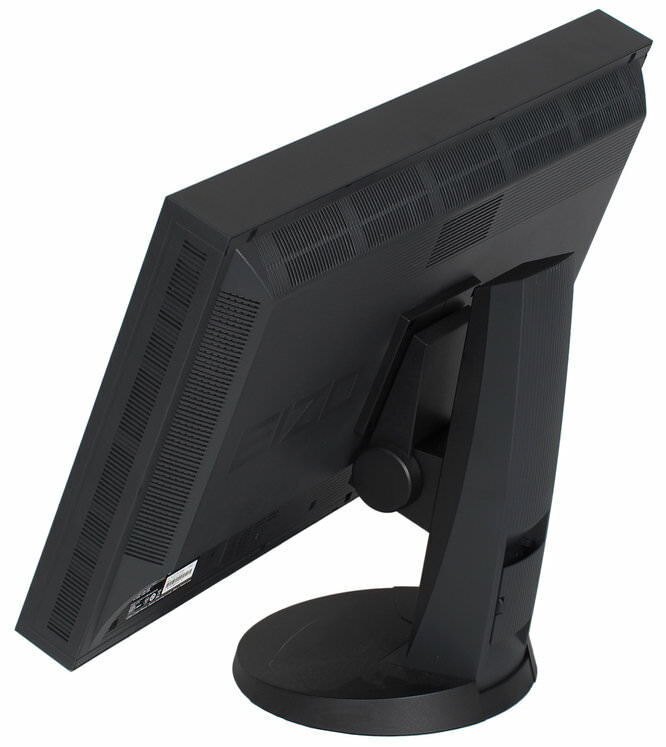 It is larger than your average monitor and has a deeper depth than most TFT monitors, however the base and stand is very sturdy and holds the monitor well, with solid and sturdy build quality. The EIZO CG276 is a substantial monitor with a large surround as well as a thick screen that is noticeably larger than other monitors, which are often designed with an ultra slim profile in mind. The style and design of the monitor is quite serious looking, with dark greys and blacks used for the casing of the monitor. The power light is blue but not too bright, and the brightness level can be altered from 1 to 7 with 7 being the brightest. Alternatively the blue power light can be switched off entirely, which would be great for dark environments. The base lets you rotate the monitor quite easily with the only concern being the length of your cables and how much flexibility there is. The rear stand has a built-in cable tidy flap to help direct cables neatly. 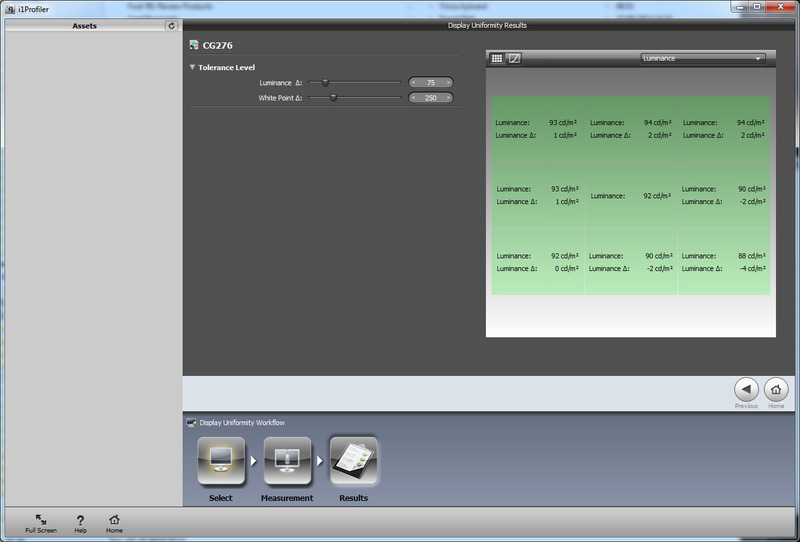 You can quickly change between calibration profiles using the mode button, this lets you switch between a number of built in modes, as well as your own calibration settings, the modes are: Custom, sRGB, AdobeRGB, EBU, REC709, SMPTE-C, DCI, CAL1, CAL2, and CAL3. The ports available are DVI, Display Port, HDMI, as well as dual USB in and a USB hub with two sockets. There is no VGA input. The monitor specifications say that it supports Picture in picture (PIP) - which gives you support for more than one computer or device, however the lack of VGA, or a second DVI socket could limit the usefulness of this feature, unless your computer supports HDMI or DisplayPort. There is a huge number of options and settings to customise in the menus. You can also setup your colour preferences such as colour temperature, brightness, gamma, and individual colour controls without having to setup anything on the computer letting you setup and then calibrate the screen quickly and easily, so that it is calibrated independently of whatever computer or input is connected to the monitor. Initially the screen looked overly dark, with darker blacks than I was expecting, meaning I didn't see shadow detail that I was expecting in some images. This was quite quickly resolved by customising the brightness settings in the menus. Another noticeable feature of the screen is the resolution available and this makes text much smaller than other monitors, so you may find you need to alter your monitor position to be closer to you. Resolution is 2560 x 1440 (3.68 megapixels!) which means viewing some images doesn't fill the full screen and you find yourself surprised to see that you are actually viewing the image at 100%. Viewing angles are 178 degrees for both vertical and horizontal, which is the same as the NEC MultiSync PA271W and better than the more typical 170/160 (H/V) on an entry level 22 inch monitor picked at random. Text quality is very good and the monitor's high resolution text looks very crisp and is very sharp. Although, due to the high resolution, text that is smaller than normal will appear even smaller on this screen. The display is crisp, sharp and consistent across the screen. Video quality is very good with solid blacks and quick refresh rates even when watching rapidly changing action videos. There is little to no visible backlight bleed which is common on more budget orientated monitors. The matt screen helps ensure minimal reflections on the screen, making viewing videos an enjoyable experience with the screen, even in office lighting. With input support for 4K x 2K, and 1080/24p playback the monitor would be ideally suited to video and video editing. EIZO Greyscale Test - click to view full size - please note the gamma squares at the bottom are designed to work with a resolution of 2560 x 1440. 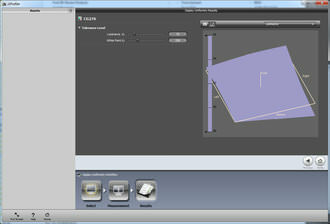 You can also test your monitor for a number of factors using software available from EIZO. Black and White / Greyscales - The EIZO CG276 delivers extremely impressive blacks and greyscale, compared to a new Samsung 22inch monitor - recently purchased, greyscales suffer with colour casts, with darker areas having a yellow hue, and brighter whites showing a pinkish hue on the Samsung. 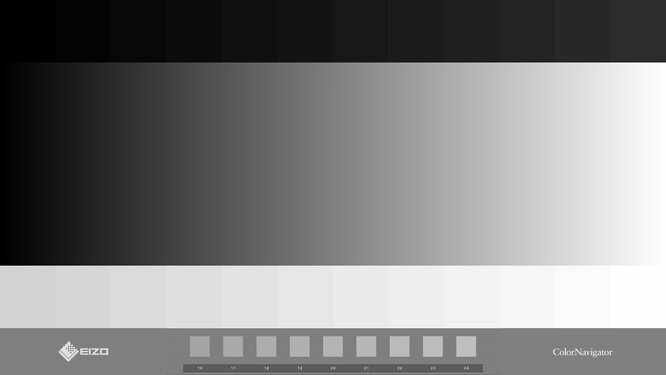 It was also possible to see how the bright grey shades simply turn to white, and the viewing angles were poor compared to the EIZO. Colour performance: We set the monitor to 100 cd/m2 brightness, 6500K colour temperature and gamma 2.2, and measured the monitors ability to match this using the built in hardware colour calibrator, and got these results, using the provided calibration software, ColorNavigator, which will happily also use other calibration devices other than the built in device. The contrast ratio was measured as 816:1 (*), the colour temperature was 6501K, when 6500K was set as the desired colour temperature, and brightness as 100.3 cm/m2*. *Using ColorNavigator, internal calibrator for measurement. Colour performance was recorded as an Average DeltaE (ab): 0.38, with a maximum of 1.80 - the lower the number the better. It's possible to save the results of performance as a PDF document, so that you have a record of how the monitor is performing, which could be particularly important for colour critical work, or to show that your computer and monitor is setup correctly. We also used the X-Rite i1 Photo Pro 2 to measure colour, luminance, and white point performance. This recorded: Colour temperature achieved as 6505K, Luminance 92 cd/m2, Contrast 408:1, and when a colour profile was setup the corrections reduced colour saturation slightly. Average Delta E was 0.51, the maximum deviation was 1.24 (the lower the number, the better). These results are extrememly impressive. Digital Uniformity Equalizer does an excellent job with the brightness across the screen being consistent, with the worst result a maximum of 4.3% deviation in brightness, in one corner, with most of the screen giving better performance. Colour temperature across the screen was also very good, with the worst results a 0.01% deviation in colour temperature, with most of the screen giving better performance. White quality is very good and thanks to very good viewing angles, the white is consistent even when viewed from extreme angles. Swivelling the monitor around is very easy thanks to the rotating base which lets you rotate it up to 344 degrees, assuming the cables you are using can reach that far (depending on the distance from your computer). The provided cables are of a decent length and good quality. You can also tilt the monitor 90 degrees for a portrait monitor, although for someone sitting at a desk, the length of the monitor in this configuration may cause undue neck strain. The monitor information available in the menu will show your serial number as well as the operation time of the monitor in hours. EIZO CG276 Skylar - Taken with the Olympus OM-D E-M5 and then adjusted to reflect the colours shown on the monitor. The EIZO CG276 is available for around £1500 including VAT with a 5 year warranty as well as a hood and cleaning kit. There are cheaper monitors available but none of them feature a built in hardware calibration device. Nb. The buy online price shown below may be wrong - see NativeDigital for latest prices. The typical 27inch monitor with Full HD resolution (1920 x 1080) is available for £200 to £260, while other monitors with a high 2560 x 1440 resolution, such as the Dell Ultrasharp U2711 is available for around £550, the Samsung SB971D is available for around £780 with a 2 year warranty, while the NEC MultiSync PA271W is available for around £1100 with a 3 year warranty. 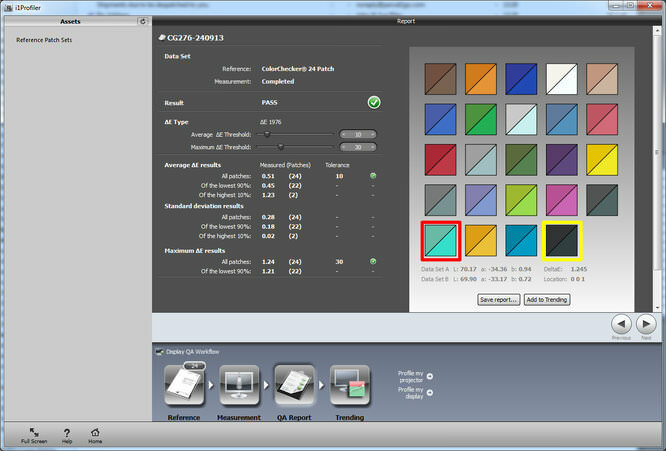 With built in calibration you can be sure to get a highly consistent colour display, and the ability to quickly change between sRGB, AdobeRGB and full colour lets you see how it would be displayed in other environments. Colour performance, as well as black and white performance, as expected, is simply excellent, and for those who put a high priority on image quality, or for those that simply want the best, and want to know that they are going to get consistent results, the EIZO CG276 with built in self-calibration device is recommended. For anyone who wants to share photos with other people and wants to be sure that images are showing the right colours in the original file, this monitor is ideal. While the price may be high, with a 5 year warranty, and as the only company that provides a true built in calibration device, we feel the price is justified. 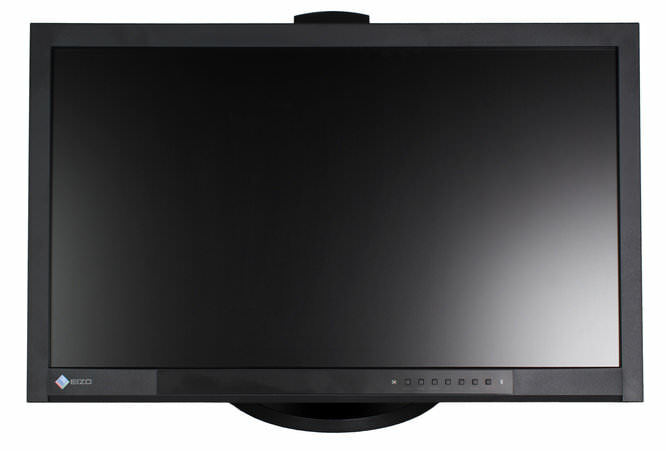 The EIZO CG276 delivers stunning colour performance and uniformity making it a must have monitor for critical colour or greyscale work. Or for those who simply want the best. Full technical specifications can be found on the EIZO website. 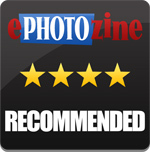 I've just installed this monitor's little brother - the 246 following ephotozine's recommendation and it too is superb.